Lizzie and Beth share a flat. Beth has never seen ‘Bend It Like Beckham’. Lizzie wants to change that. 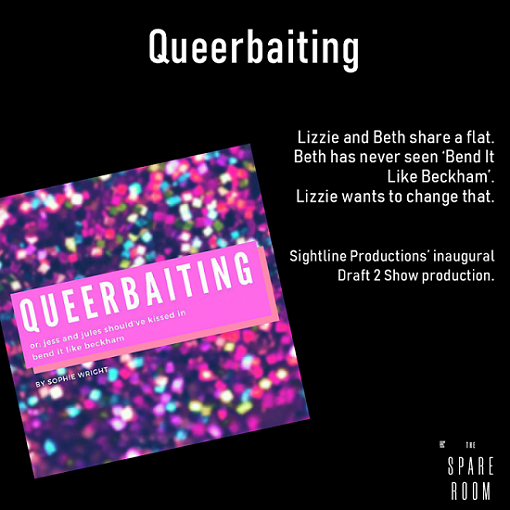 'Queerbaiting' will be premiering at the Spare Room this June!